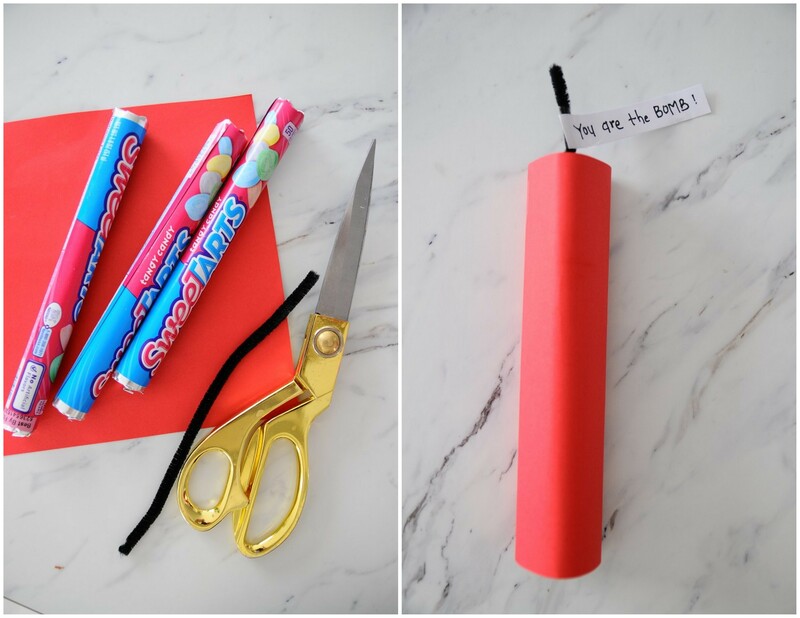 You’ll need red paper, tape or glue, and pipe cleaners! If you’ve bought pipe cleaners once, you will still have these for 20 years, so go digging through that craft box! They’re never-ending! 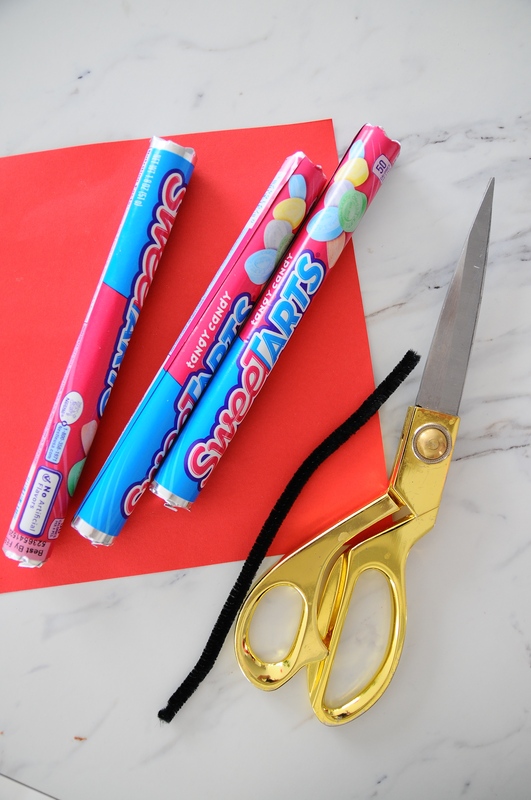 Then just wrap the paper around the pipe cleaner and your favorite stacked round candies – Sweet Tarts, Mentos, Rolos, and tape or glue in place! 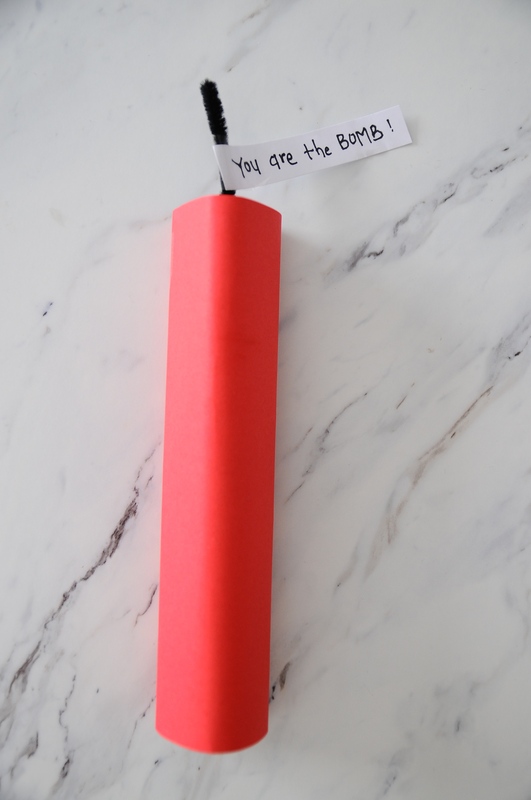 Get your kiddos on writing up a quick note “You are the bomb!” and you’re done! Just repeat 20+ more times. 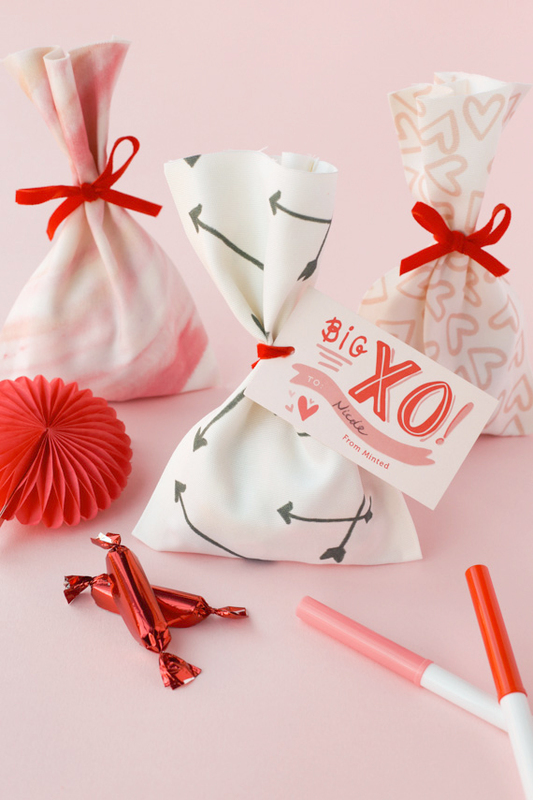 😉 We’re also loving this idea from Minted, where with scrap fabric and a few designs you have a custom treat bag! Their step by step is here. While I think these are darling, I am thinking it is probably a really bad idea doe school. In an age of zero tolerance, someone can be suspended for drawing a picture of a gun. I think valentines shaped like dynamite or a bomb would be a recipe for disaster.